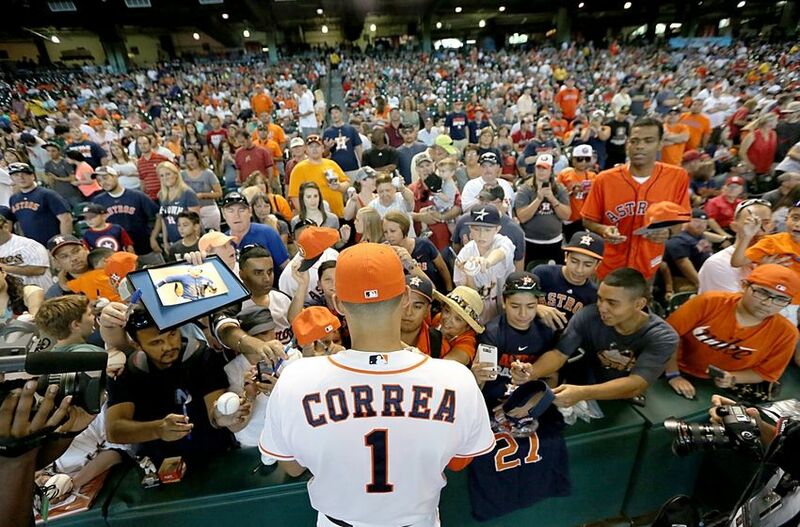 2015 Season: For many of us who cover baseball, we were all acutely aware that Houston, despite 6 straight years of sub-.500 baseball, has been getting better. With a stockpile of young talent, many figured they were just a couple of years away from hopefully forming a great core from which they can start competing for championships on a yearly basis. What we didn’t know was that it would happen so soon. Houston was a team that many had targeted the 2016 or 2017 season as the year for them to take the next step towards the top of American League. Instead they went ahead and put it all together a year or two earlier as they were the surprise team in the AL in 2015, ending up with a 86-76 record, good enough for the second Wild Card spot. After beating the Yankees in the one game playoff, they put a scare into the eventual champion Kansas City Royals, falling to the champs in 5 games. As impressive a year it was for the Astros record-wise, the real story for this team is the amount of young players who are looking like future (or current) superstars in the league. Springer, Correa, Altuve, McCullers, McHugh, Keuchel… all young talents who should only get better in the coming years. If the Astros can make the right ‘win-now’ moves moving forward they could be a perennial playoff team for the next 5-7 years. Key Additions: The Astros were relatively quiet on the free agency market, really only spending money on a great buy-low candidate in Doug Fister. Signing a team friendly 1 year, $7 million deal just one year removed from a 16-6 season throwing a 2.41 ERA for the Nationals, he found himself out of a job after an injury shortened 2015 season. He will be highly motivated to pitch well and could be a great find if he can rewind back to the 2014 season. 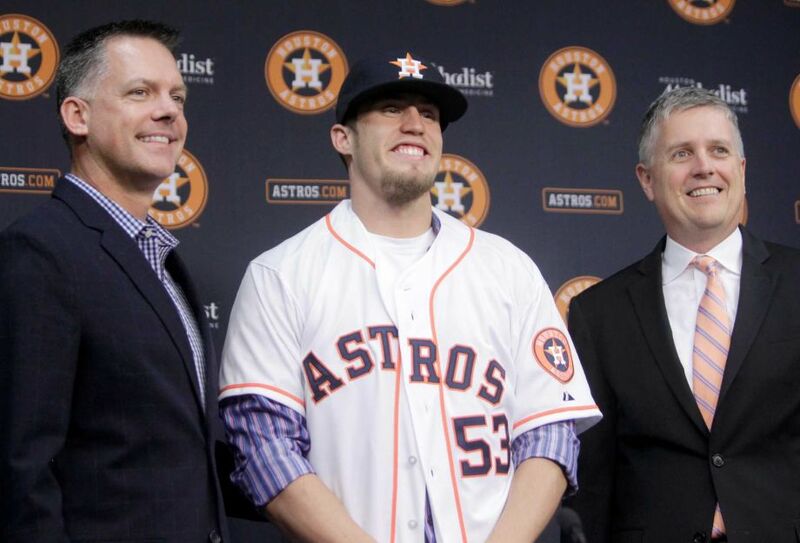 The only other noteworthy move by Houston came via a trade with the Philadelphia Phillies for closer Ken Giles. The 25-year-old Giles has amassed a stellar 1.56 ERA over his two seasons in the big leagues and was targeted early in the offseason by GM Jeff Luhnow as a marked improvement over 2015 closer Luke Gregerson. Gregerson was not a bad closer but after watching the bullpen lose multiple games to the Royals in the ALDS, bullpen reinforcements were needed. While you certainly cannot complain about adding such a young powerful arm with 5 years of team control remaining, the price they paid for him was steep, giving away essentially 3 major league ready starters up along with two minor leaguers for Giles and a prospect. If Giles can become a dominant closer for the Astros for the next 5 years history may look a bit more favorably on this deal. Key Losses: Houston cut lose quite a bit of baggage from last year’s squad, however none of them were pivotal piece towards their bright future. The losses of starting pitcher Scott Kazmir along with the three starters sent over in the Giles trade (2013 #1 Mark Appel, Vince Velasquez, and Brett Oberhotzer) were the casualties along their rotation while Oliver Perez, Chad Qualls, and Joe Thatcher were bumped form the bullpen. In the dugout they moved on from Chris “Home Run or Strikeout” Carter as well as infielders Jed Lowrie and Jonathan Villar. While all of these names may seem like the Astros could be due for a step backwards, outside of the three pitching prospects they traded away to Philly, none of these players were in Houston’s long term plans, and quite a few of them were not in their short term plans either. On paper, the Astros’ roster should look mostly the same from a year ago. I love this lineup. Chick dig the long ball and apparently so do the Astros, as they were 2nd in the Majors in home runs with 230, only 2 behind Toronto. This power stroke comes at a price though as Houston also was 2nd in the Majors in strikeouts. There aren’t may teams that can sport 20+ HR power from 1-8 in a lineup and even though they are switching out first baseman, those power numbers should only get better with a full season of Springer (injury), Gomez (traded at the deadline), and Correa (called up midway through 2015). 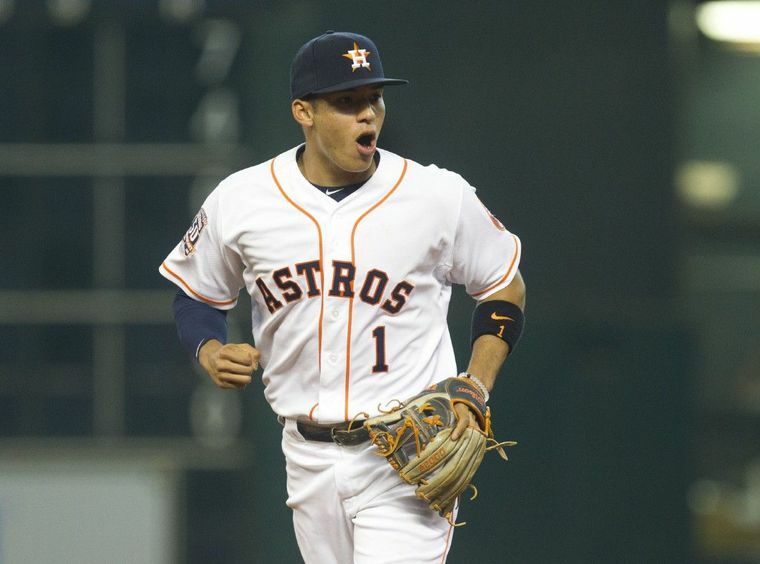 And speaking of Correa, the 21-year-old phenom busted on to the scene in 2015 putting up video game numbers at the plate while playing an excellent shortstop en route to Rookie of the Year honors. His 2015 numbers spread out over 162 games would have had him projected for 36 home runs and 111 RBIs, number not normally associated with rookies, especially those playing the shortstop position. He is an incredible talent who could very well put up great numbers in 5 categories this year and who could very well compete for the AL MVP award by season’s end. If I haven’t made the point perfectly clear by now, my man crush on him is very strong. 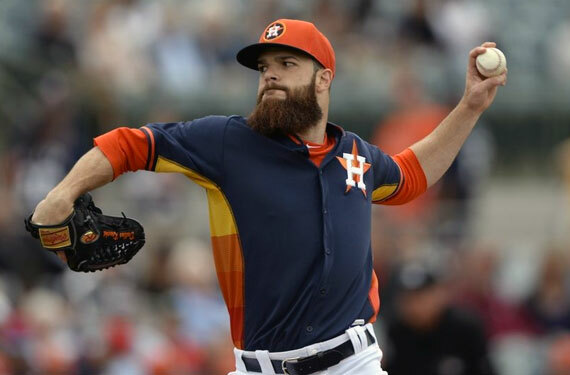 What was a very solid rotation in 2015 should remain strong this season as reigning Al Cy Young winner Dallas Keuchel leads a rotation with an excellent mix of good young arms and effective veterans. Collin McHugh and Lance McCullers (will start the season on the DL) along with Keuchel represent three young strong arms that should remain Astros for the near future and should be a nice core to build from. Meanwhile veterans like Fiers and Feldman will continue to put up average to slightly above average numbers which, especially with this offense, should lead to wins. I mentioned briefly before about Fister who could very well be the difference for this rotation. If he pitches like 2014 Fister, this rotation just became fearsome. Vice versa, if he pitches like 2015 Fister, more will be asked from Fiers and Feldman to pick up the slack. I personally tend to lean that Fister is a great bounce-back candidate and will exceed expectations in 2016. The Ken Giles trade is the biggest change to this squad that put up the 6th best bullpen ERA in 2015. 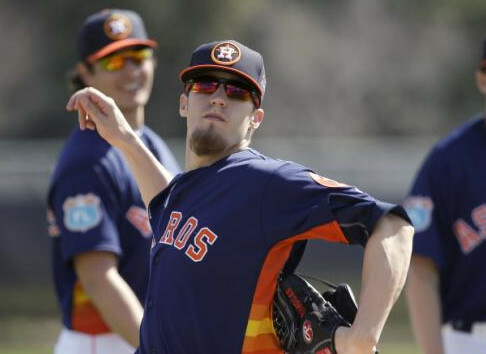 Being able to move Gregerson, who was a very acceptable closer last season, into a more set-up role while Giles continues his maturity and advancement could be a highly effective 1-2 punch at the back end of games. It will be very interesting this season though if Giles struggles, especially considering he was never really put in any strenuous save situations in Philly, how much of a leash Houston will give him with Gregerson waiting in the wings, but after the price tag they paid to acquire him, Giles will start the season as the closer. The biggest hole on this team is at first base. The Chris Carter experiment is over, leaving the door open for a couple of players to fill the position. 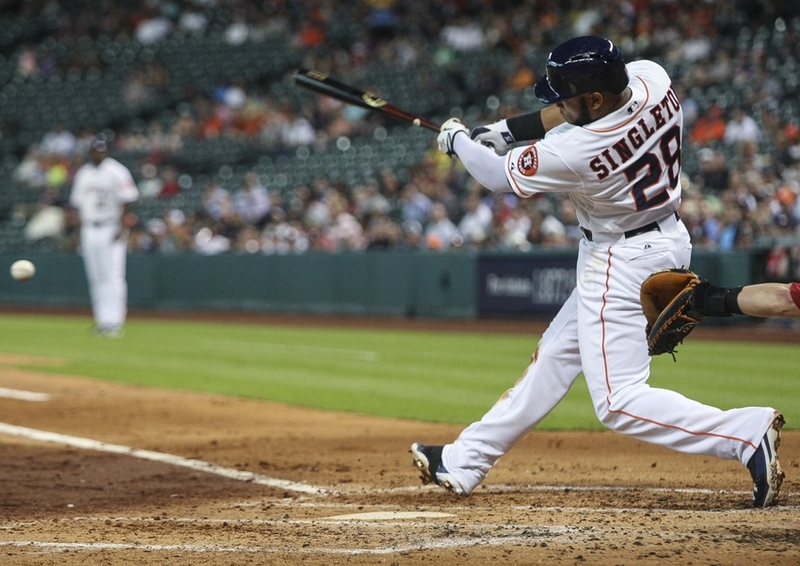 Early favorite to win it is Jon Singleton who has simply mashed minor league pitching but has been dreadful in his short time in the Majors. Unfortunately for him, his spring training number have been equally as bad (.143 Avg/2 HR/ 6 RBI) and it is possible that two rookies may have a chance at grabbing the position to start the year. A. J. Reed is the future of the position for Houston and has hit nicely so far this spring (.286/1 HR/4 RBI), but fellow rookie Tyler White (.345 Avg/1 HR/6RBI) has been excellent early and may get the first crack at first to start the season. Regardless of who wins out the battle for first, Houston will need that person to step up and be a presence in 2016. They decided that Chris Davis was too expensive and didn’t look for anyone to target via trade to improve the position in the offseason, so it will be up to these three to have someone rise to the top and succeed. Otherwise a midseason trade for a first baseman might be needed if this team wants to truly compete with the best of the American League. HBT’s 2016 Season Prediction: The ‘Stros have a good young core and solid veterans, but after last year’s success they have something even more, and that is confidence. This is a team that knows it played well in 2015, but they know that there is another gear that they hope to get to. If they can figure out who can play first base and can stay healthy, this is a team that can play with anyone. Their dependence on the long ball can hurt them at times when everyone’s bats are cold, but over the course of 162 games I am not worried about their ability to score runs. If the pitching can imporve on last year’s results this is a team I expect to win 87 games, which should be enough to clinch one of the two Wild Card berths. It will be up to Keuchel to repeat his dominance of the Yankees in the do-or-die one game playoff this year for Houston to match last year’s success.